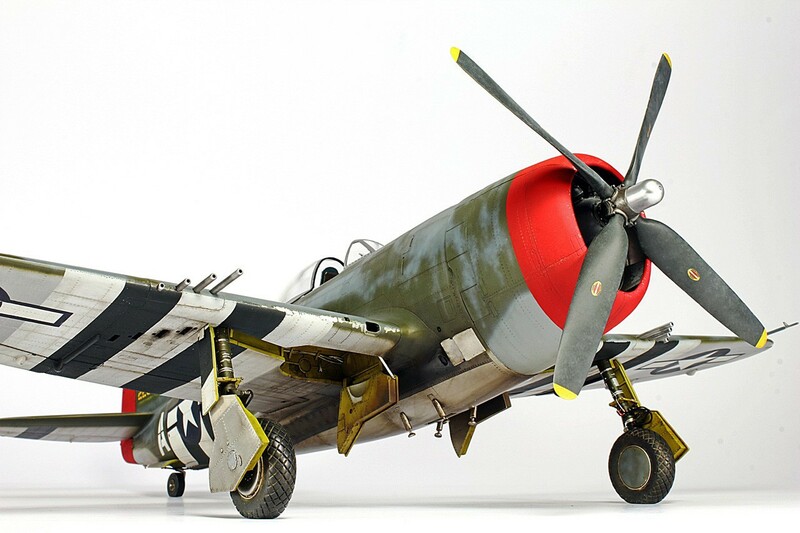 This is my 1/32 Hasegawa P-47D in Gabreski's markings, completed a few months ago. MDC cockpit, Quickboost R2800, Barracuda wheels, complete riveting with MDC tool ( ), some scratchbuild and markings painted using Montex masks. I spent quite a lot of time studying photos of Gabreski's last aircraft and did my best to faithfully reproduce it. More photos in a complete article in the current issue (57) of Meng Air Modeller. Hey, that looks great - can you show us more? Absolutely stunning, love the model as well as the photography! 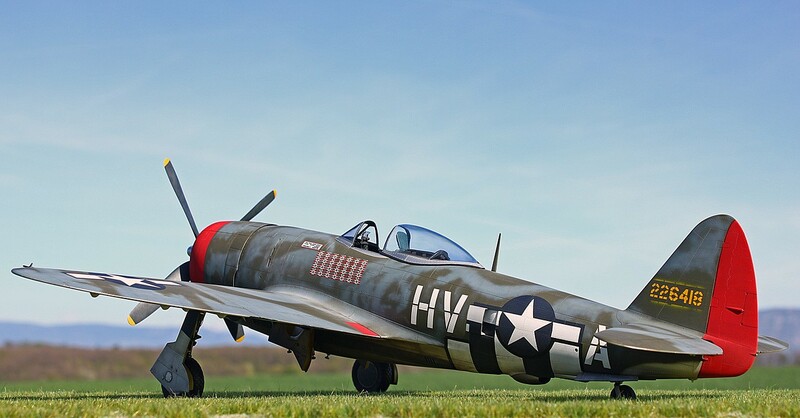 First P47 build I have seen with OD landing gear struts. Following conversations with a P47 Crew Chief, he told me of the OD struts. My current WIP Hasegawa P47 will have the OD struts. Beautiful effort on this. Wowww nice one! I like your Jug.... and your great job...No more pictures? Oh wow ! Very nice ! Outstanding job !! BTW,..That bottom photo.....where did you find such a crisp color photo of the real one for comparrison ? Nice model and great photography too!! That's awesome! I don't remember seeing it the mag though. I must take another look! What a beautiful build! Gabreski would be proud!!! I just love the finish!! I'm afraid I won't post more photos out of respect for the magazine. @Kevin the article is in issue 57. @Rick K Gear struts are indeed OD for this aircraft but aluminium was common too. One observation: I see quite often with this Hasegawa kit is that the cowling latches (close to the forward leading edge of the cowl) are never filled in - but, left to show the moulding seam as originally found on the separate parts! On the real aircraft they actually cover (bridge) the panel join. Its not a critique, just an observation! What an outstanding model - I am just amazed at the attention to detail and execution of skill in this build! BRAVO for getting it published in Meng Air Modeller. you must be proud of that. .